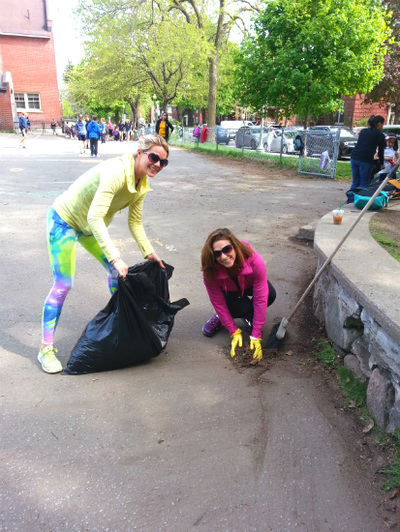 What happens when Roslyn School parents are given 24hrs to show up to get their hands dirty picking up trash and tidying up the yard for the school's children and teachers to have a cleaner and safer outdoor environment? 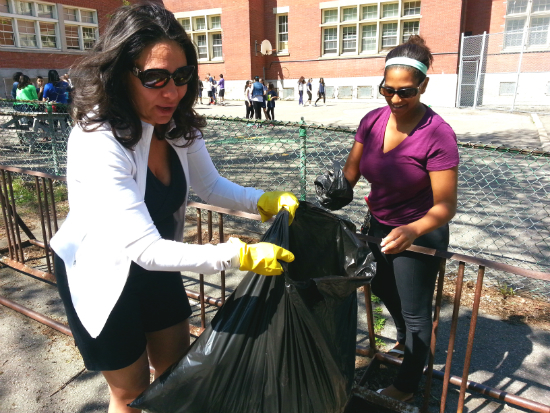 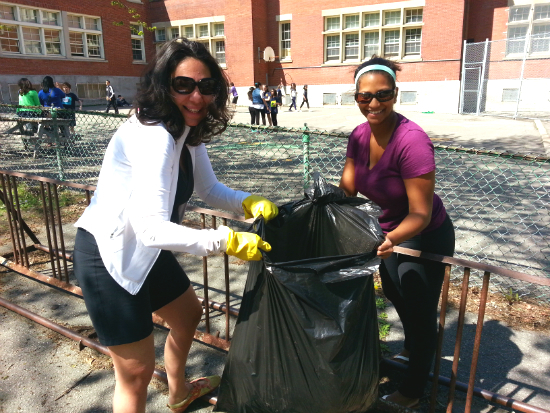 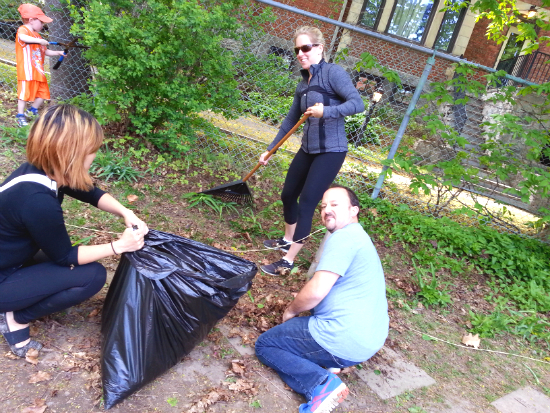 Close to 30 Roslyn parents answered the call on a sunny day for the 2nd Annual Roslyn Parents Flash Spring Clean-up! 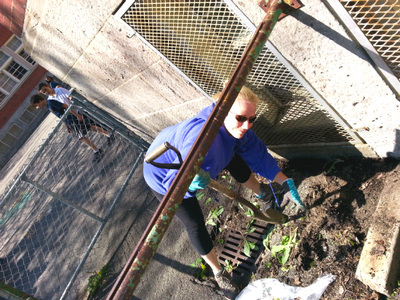 A stylish mother with a White jacket was the first parent on the grounds at 3PM near the bicycle rack. Soon after others appeared with garbage bags, gloves and gardening tools in hand. 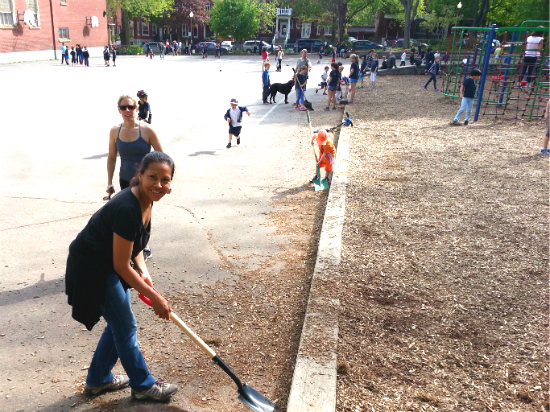 Yet other parents arrived with earth and cedar mulch to freshen up the stepping path behind the playground. 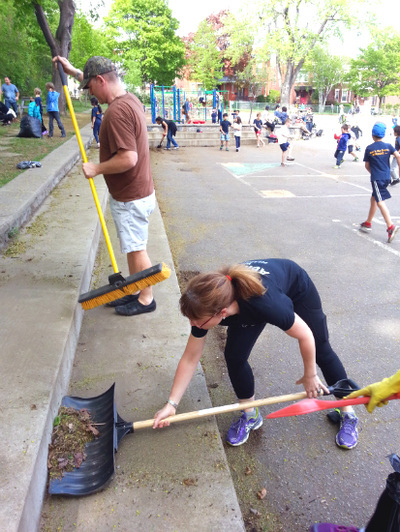 Numerous parents saw the seemingly spontaneous outbreak of clean-up activity and pitched in never having received or heard of the original email sent to 10 parents. 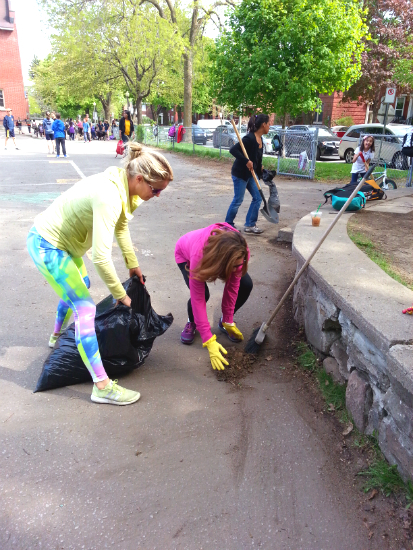 They simply jumped in and started cleaning up. It was an amazing display of school spirit and pride for all the children, parents and staff to see during afternoon pick-up! A small handful of parents were seen leaving the grounds close to 5:30PM. 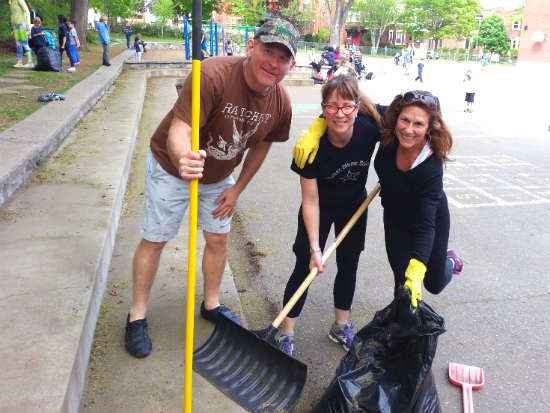 This is the sense of community parents foster at the Roslyn School.